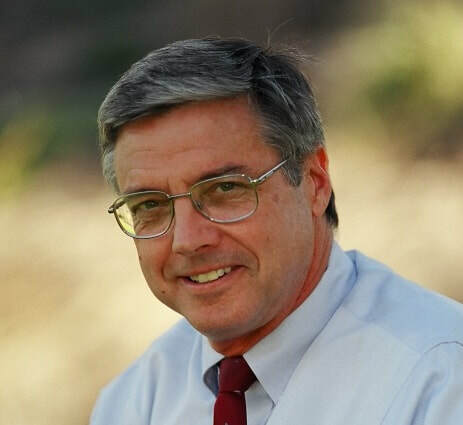 Steve earned his Bachelor’s degree in Physical Sciences and Math from UC Berkeley in 1974 and a Secondary Teaching Credential from St. Mary’s College, Moraga, in 1975. He began his healthcare career in the practice management field in 1986. In addition to his current responsibilities as a registered lobbyist and medical practice consultant, he has served in management roles in operations, human resources, product development, marketing and regulatory compliance. Prior to joining AdvoCal in 2004, Steve served as Director of Operations for California’s largest certified Workers’ Compensation Health Care Organization (HCO). In that role, he took advantage of his years of experience in clinic management, physician contracting as well as sales and marketing of bill review, utilization review, case management and other managed care services. He has been a registered lobbyist since 2004 and a principal of AdvoCal since 2014. ​Mr. Brakensiek has been involved with workers’ compensation issues since 1974. He has an A.B. degree in Business Administration from Occidental College, an M.B.A. degree in Corporate Finance from UCLA, and a Juris Doctor degree from the University of Southern California. He has been admitted to practice law in California since 1970. From 1974 to 1981, he was General Counsel to the State Assembly Committee on Finance, Insurance and Commerce and the principal consultant to its Workers’ Compensation Subcommittee. For 37 years, he was the Executive Vice President of the California Society of Industrial Medicine and Surgery (CSIMS). Mr. Brakensiek was involved in the development and revisions of both the treatment and Medical-Legal Fee Schedules since 1982. He was a founder of AdvoCal Government Relations and has been a registered lobbyist since 1981. ​Alex earned her Bachelor of Arts degree in International Studies from the University of Washington. She is a Vice President and Principal of AdvoCal. In addition to directing operations and process management, Ms. Kerstner serves as Executive Director, Director of Membership Services, Continuing Medical Education Coordinator, Meeting Planner and Website Manager for many professional trade associations. At CWCSA, she will coordinate operations, process management and logistics to satisfy the needs of its clients. With a myriad of responsibilities and driven by her commitment to excellence and customer service, Alex’s high ethical standards and energy serve her well as she does what it takes to get the job done for our clients. Danielle earned her Bachelor of Arts degree in Government from California State University, Sacramento. She handles Legislative Coordination and Marketing at AdvoCal. In addition to offering Membership Support Services and Vendor and Sponsor Relations, she provides Marketing and Social Media Management for several of AdvoCal’s clients. At CWCSA, she will provide Legislative Reporting Support for the association, as well as Social Media and Marketing Management to clients. Need to get a hold of us? Contact us via e-mail here or call 916-446-5165.